– Mirage (1965) Get it here on Amazon. – Cinequest Short Films w/ Mr. Salamander! – Alcatraz (2012) follow-up. Seven episodes in, it’s still good! – Interesting Death of the Week with B.K. 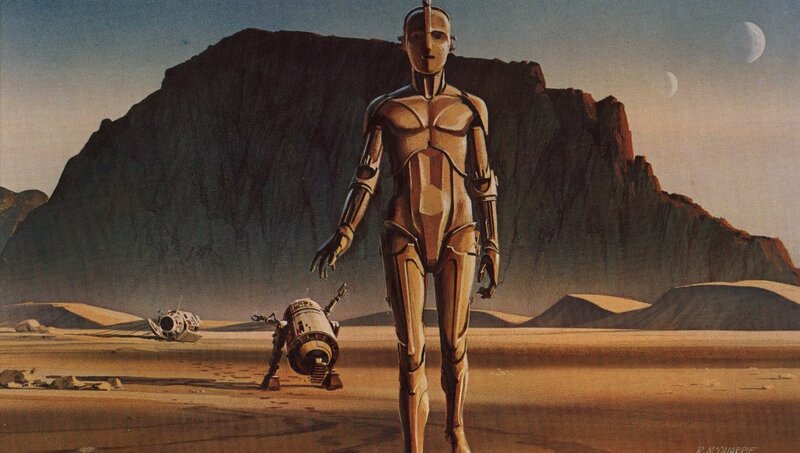 : Ralph McQuarrie – Star Wars pre-production artist. – World On A Wire (1973) The Criterion Collection Blu-Ray. Get it here on Amazon. – Three Outlaw Samurai (1964) The Criterion Collection Blu-Ray. Get it here on Amazon. – Alcatraz (2012) Watch episodes on Amazon. – This guy came up with the impossible: An idea that would have made The Phantom Menace a not horrible movie. – Also: This guy (different from that guy above) tells you a smart way to watch the Star Wars movies, including the prequels, mostly.